Secretbook is a chrome extension developed by Owen Campbell-Moore, a computer science student at Oxford University and Ex Googler. This chrome extension lets you hide secret messages in Facebook photos which cannot be detected by Facebook or Government because everyday more than 300 million photos are uploaded on Facebook and scanning them all is too tedious, keeping in account the existing 250 billion photos in Facebook’s database till date. Secretbook works on JPEG Steganography technique which modifies the actual image to hide data which is invisible to human eye. First of all, install the Secretbook chrome extension from here. After installing the app, open Facebook and hit Alt+Ctrl+A to activate this extension. 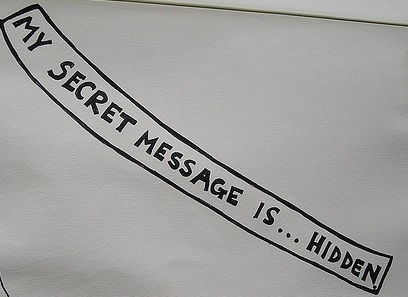 A pop-up will appear asking you to choose the image on which you want to hide the secret message, Choose the image, type the secret message and choose the password to keep the secret message password protected. Now, Upload this picture on Facebook and anyone having this app installed and the password would be able to view the secret message inside the image and rest all will enjoy the image only. Secretbook is a research project by Owen Campbell, if you want to know the details about this project, here’s the full draft. I have tried and tested this extension and it works fine.